Dark Horse is now revealing new additions to their successful ongoing line of figures based on the hit HBO series Game of Thrones! Sansa Stark, the oldest Stark daughter, fled King’s Landing to the Eyrie with Littlefinger’s assistance after Joffrey’s murder and now travels alongside him. The figure measures 7.75” in height. 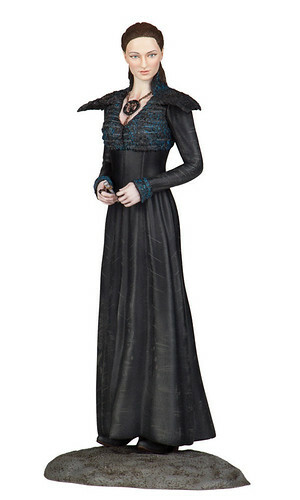 The fine detailing of her black and midnight blue dress is exactly as seen in the HBO series.